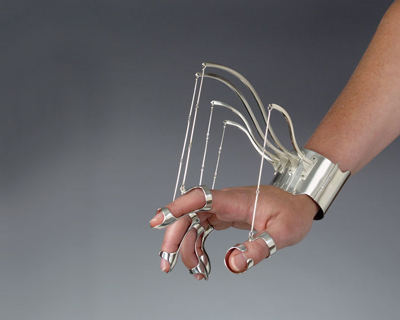 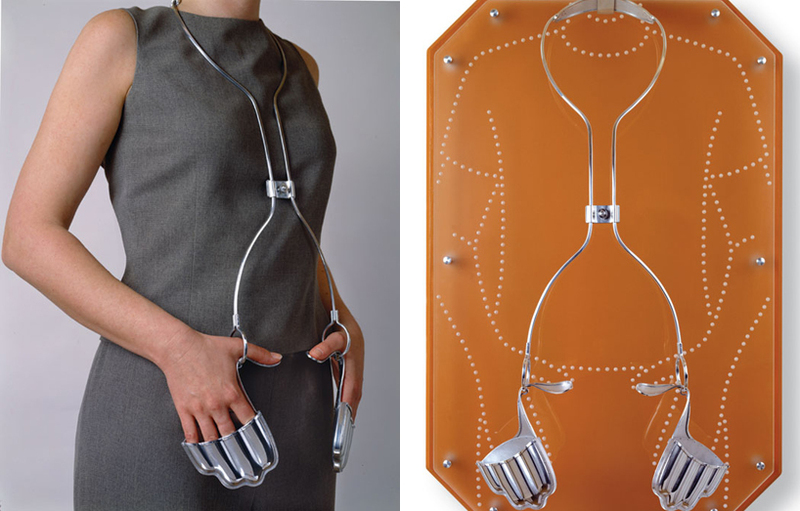 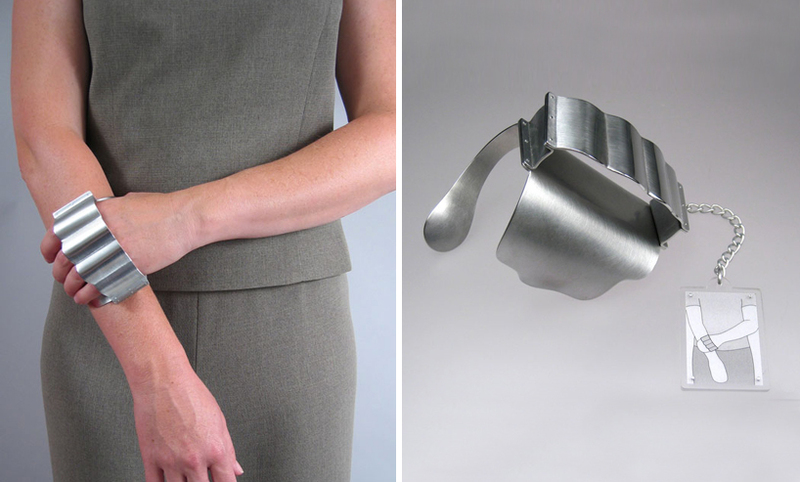 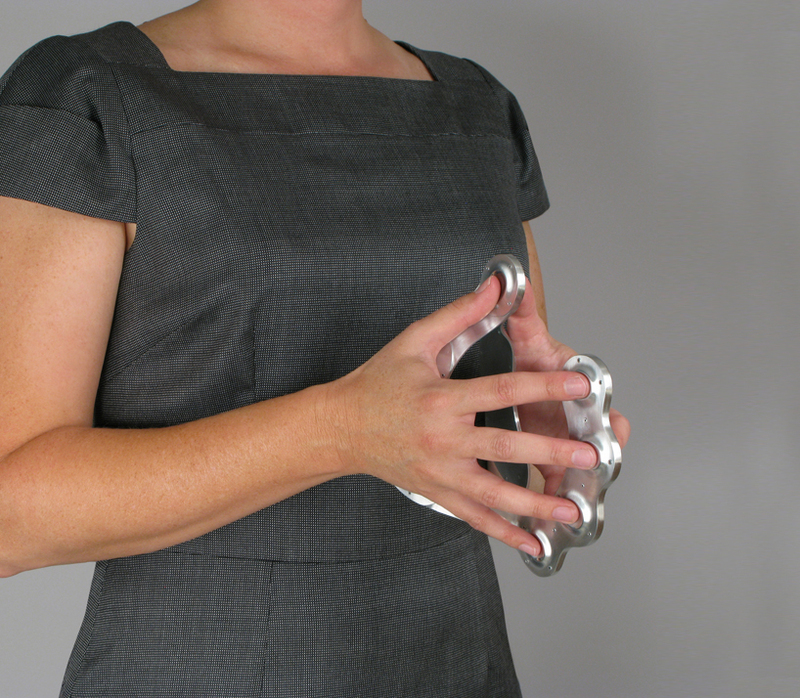 the series of mechanical jewellery by US-based artist/designer jennifer crupi encourages gesture. 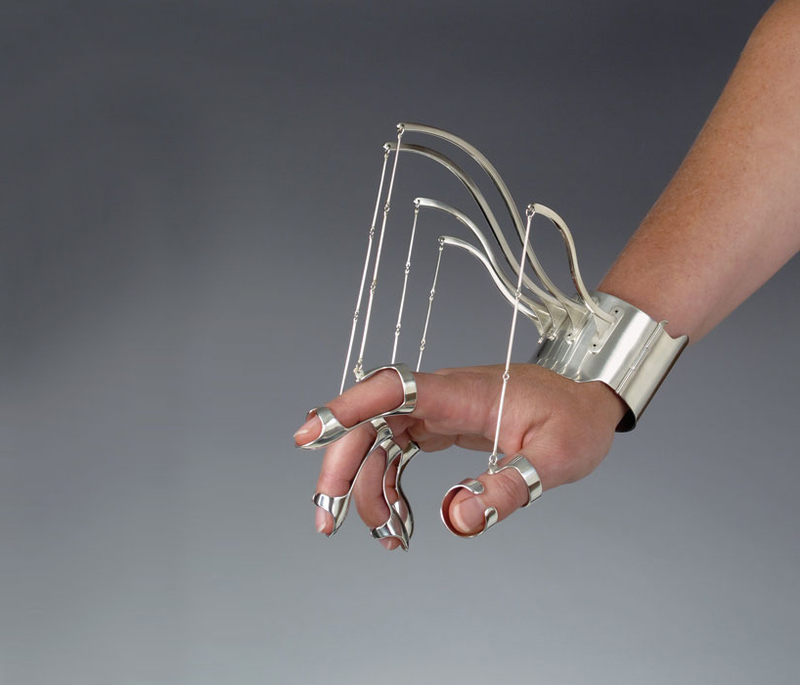 various iterations of the concept force an action – such as the ‘power gesture’ which requires the user to assume the authoritative ‘steepled fingers’, or the ‘leg bouncer (stress expresser)’ which focuses on the ubiquitous anxious tick. 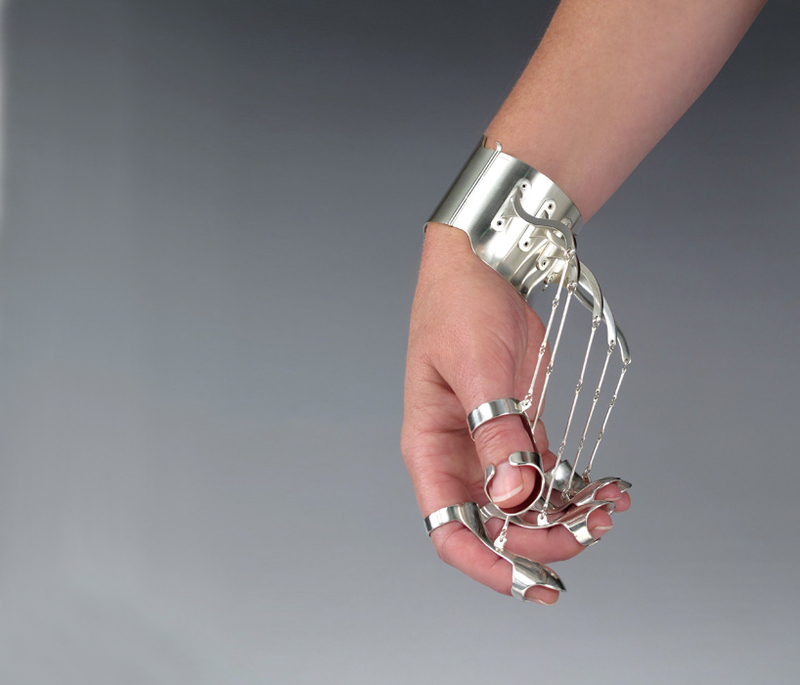 the pieces amplify habits and positions we engage in daily through the language of design, with striking results that reference prosthetic and mechanics. 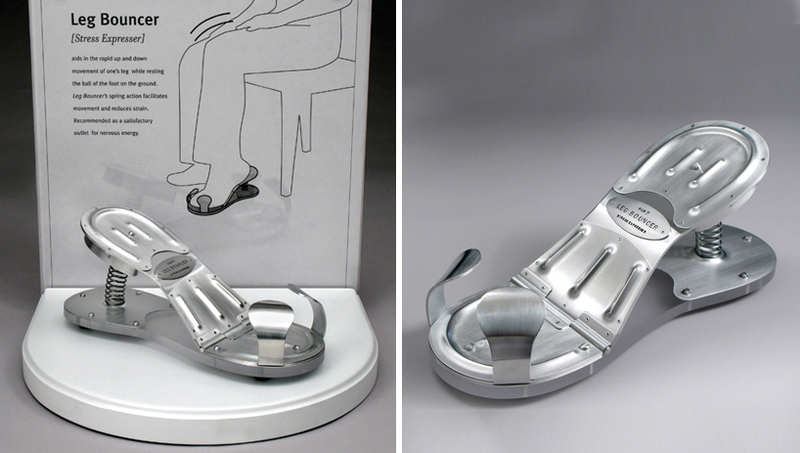 this really reminds me of mi-mi moscow http://www.fefeproject.com/artist/mi-mi-moscow-mila-alnitskaya-micha-maslennikov check their webiste, they have a lot of great projects like this.